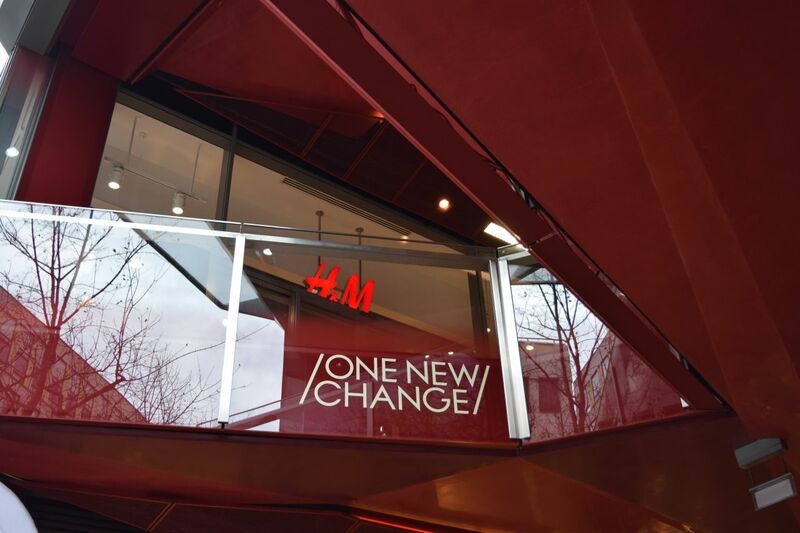 When One New Change shopping centre recently got in contact and asked me to make ‘One New Change’ to my fashion for the year ahead, I already had an idea in mind. 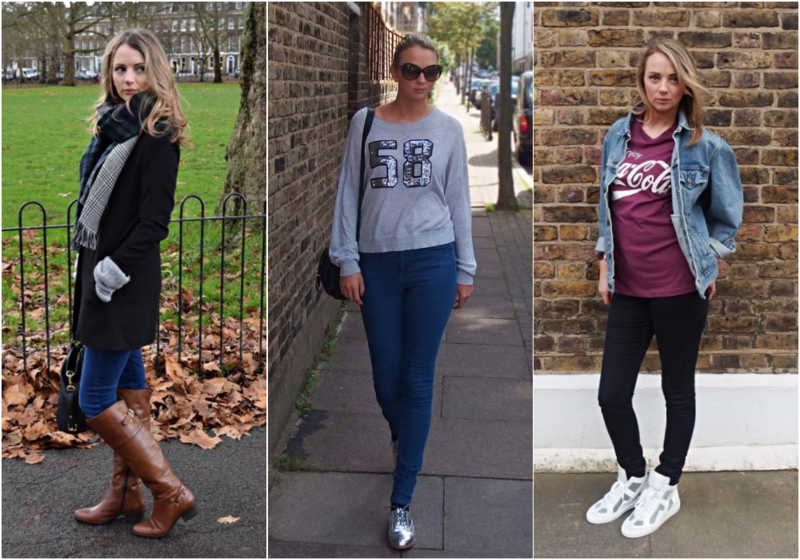 Looking back at my outfit posts from last year, I do love a good pair of jeans and so I have challenged myself, sort of like a new year’s fashion resolution to step out my jeans and wear something else for a change! Jeans are such a go-to for me, they go with everything and just are such an easy option in the morning when I can’t decide what to wear. I do own quite a few skirts and dresses, but definitely not trousers. I have a tough time finding jeans to fit so trousers seems like a whole other world. 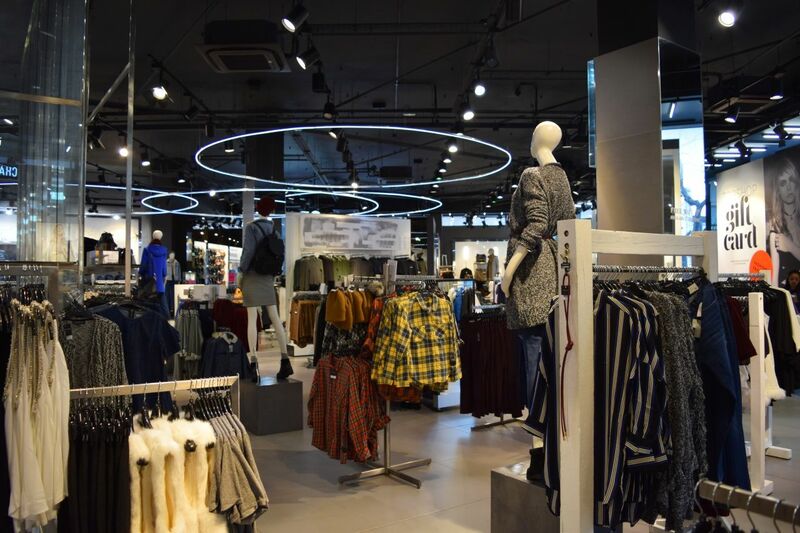 So on the weekend I set off with Danny who kindly agreed to come shopping with me to One New Change and I challenged myself to get my blinkers on and look for more bottom pieces to wear. 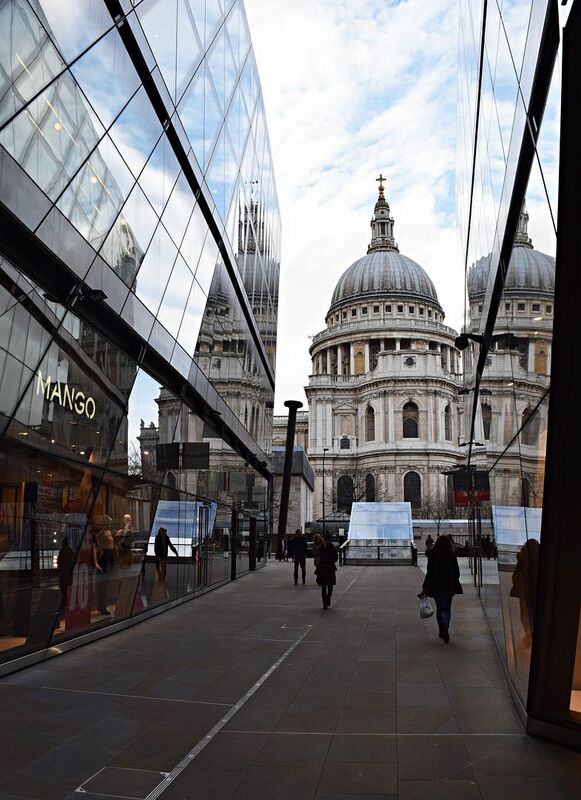 One New Change is based in Central London next to St Paul’s cathedral and is perfect for weekend shopping as it’s lovely and quiet. 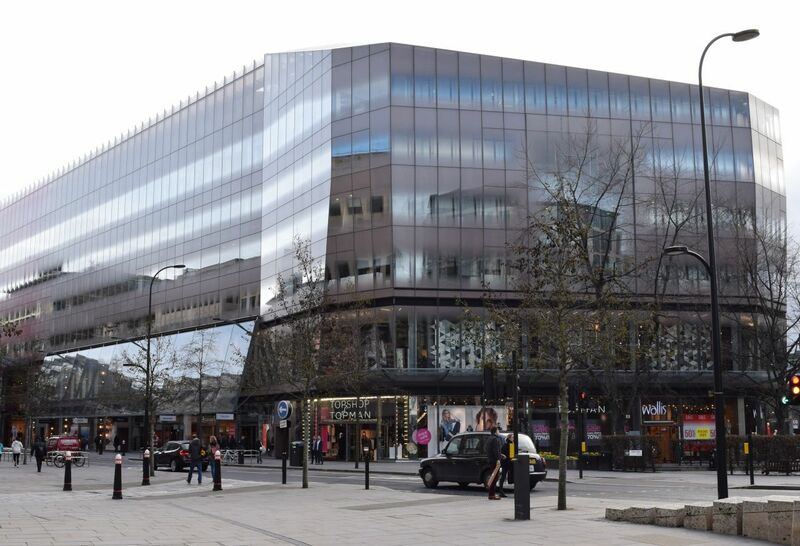 It’s hard to imagine its even in Central London compared to places like Oxford Street for shopping. 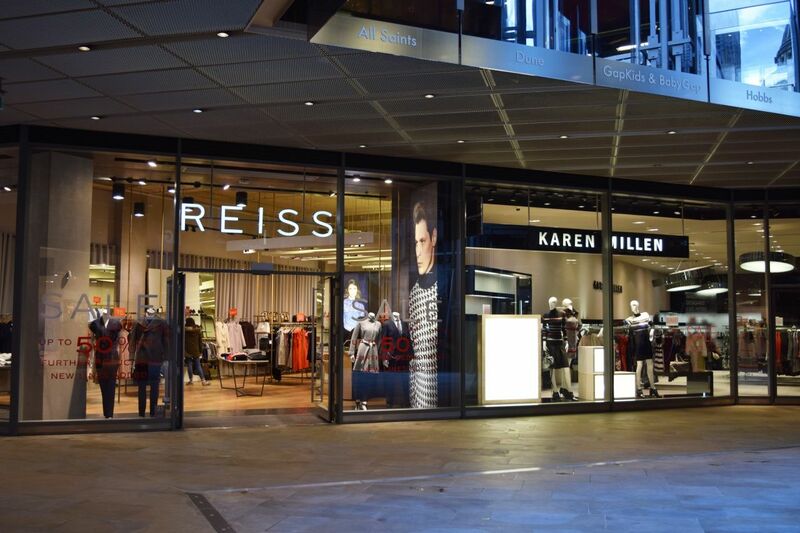 There are plenty shops too such as Topshop, H&M, Reiss, Karen Millen and Office to name a few and also lots of lovely restaurants to stop for breaks in between shopping. Plus the shops are really, really tidy! I had spotted a dress online in Topshop so I headed there first. However I got distracted straight away by a pair of shorts I spotted on the mannequin at the entrance, they were an arty sketch print and I loved them instantly. They had paired them with a sweater to match in the same print, but I feel like I’m a bit over the co-ord trend now so then noticed the top right next to the shorts. 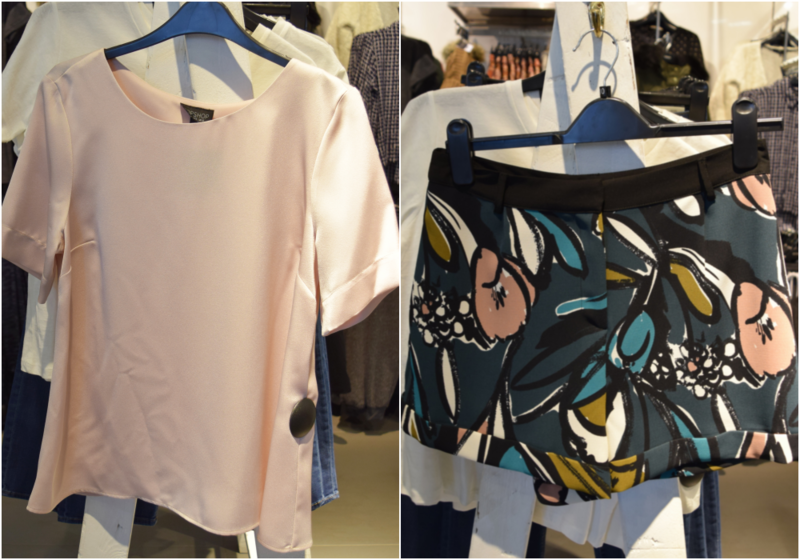 Topshop are so good at merchandising and this pink satin top was perfect. I think one of the reasons I never buy shorts/skirts more is because it sits in my wardrobe and I don’t know what to wear it with especially if it’s printed or something. These two went perfectly together and so I had to get both. At least having the top I knew I’d have something to wear them with. But these will go with plain tops and will be great for now with tights and also for Spring/Summer too with bare legs, so a winning result in Topshop. 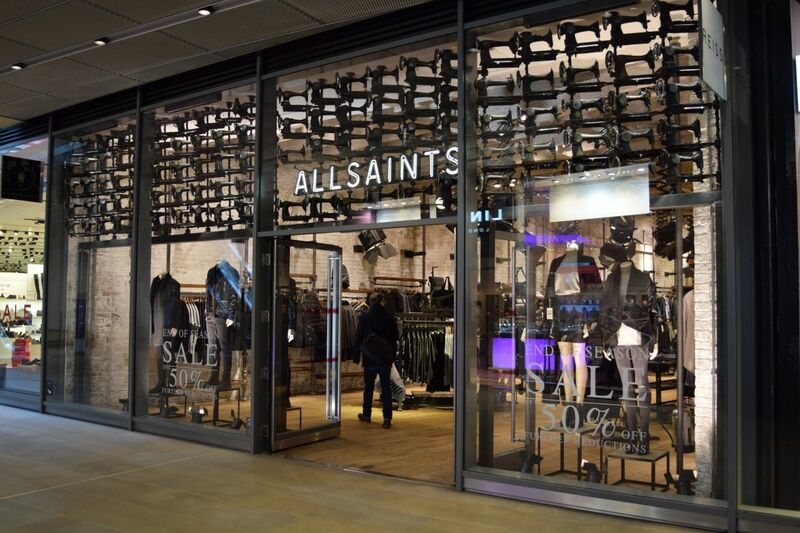 One shop I don’t shop in a lot is All Saints, even though I love it, it’s a bit out of my budget. However I went in and was really surprised how much I liked and that it was within my budget too. 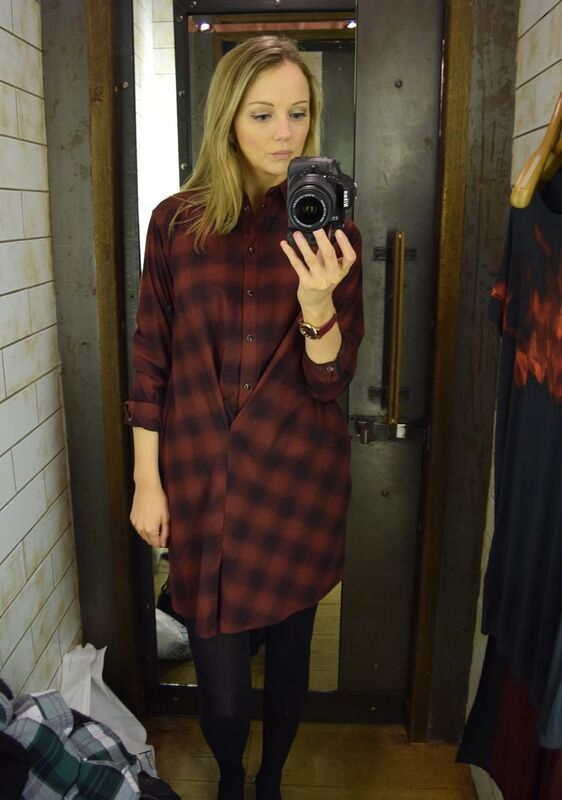 I tried on quite a few things, but this checked shirt dress really stood out to me, I liked the unusual cut and it’s so easy to wear, plus no jeans, tick! We stopped off for lunch in EAT and then continued on with a few more shops, H&M, Mango and Cos. 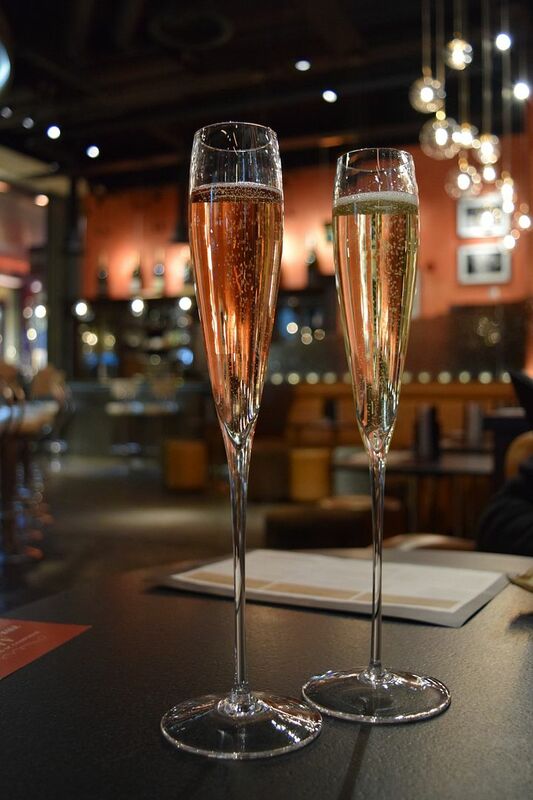 I picked up a few more bits and pieces and then after a serious shop we ended up in Searcy’s champagne bar for a well deserved treat. 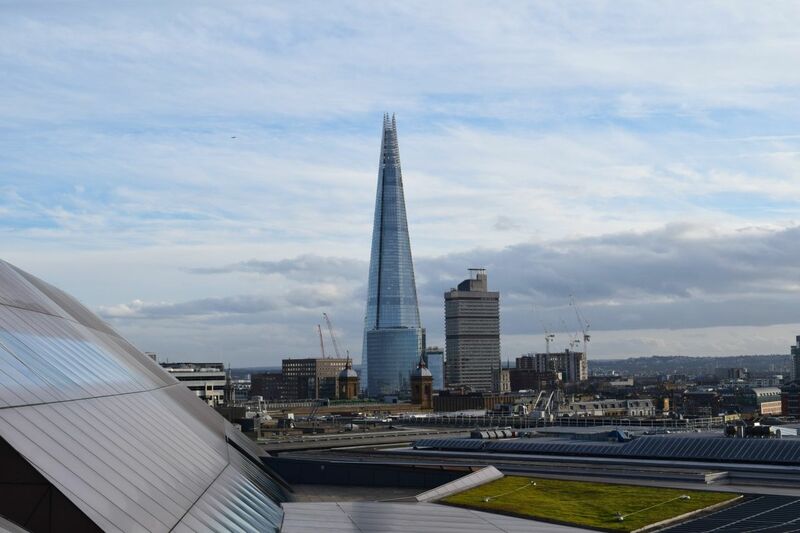 It was lovely to just sit back and enjoy a glass of bubbly before heading straight to the top of the centre to get one of the best views of the city! 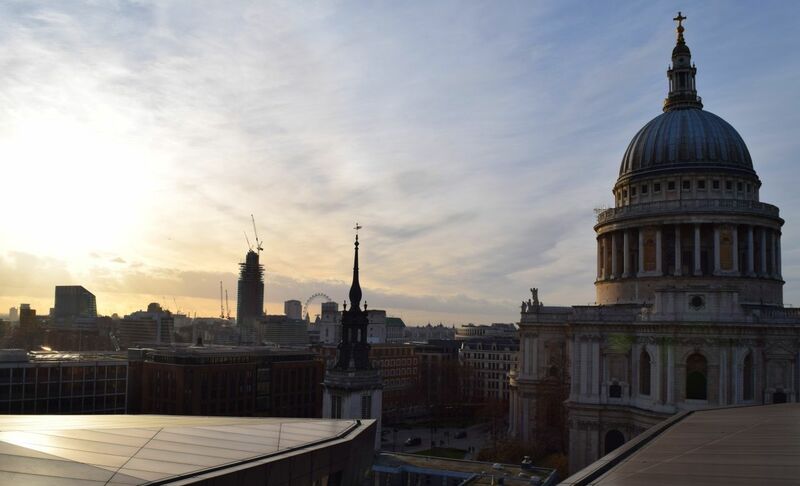 You can see St Paul’s, the London Eye, The Shard and more, plus there is a gorgeous tapas restaurant, Madison up there too. Watch my video to see what else I bought and my thoughts on my fashion resolution challenge!